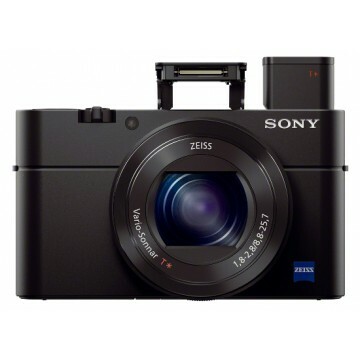 The Sony RX100 III is a pro/enthusiasts compact with high quality aluminium construction. It features a 20.1 megapixel 1-inch-type Exmor R BSI-CMOS sensor, 3-inch tilting WhiteMagic LCD plus Wi-Fi with NFC and downloadable apps. 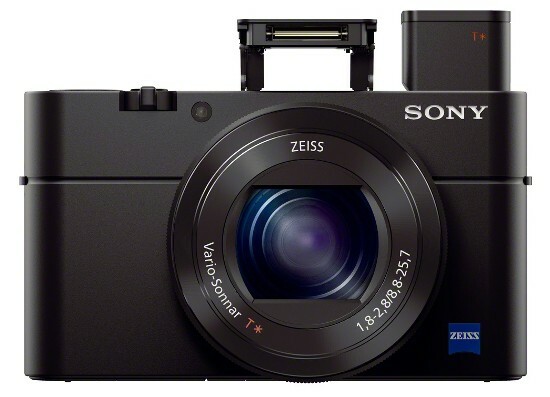 The main differences and improvements from the RX100 and RX100 II include a new 24-70mm (35mm equivalent) f/1.8-2.8 Carl Zeiss Vario-Sonnar T* lens, a pop-up SVGA OLED Electronic Viewfinder plus Sony's Bionz X processor. See more detail with a bigger sensor. 20.1 effective MP 1.0-type Exmor R CMOS sensor ensures bright, clear detail in all your photos and video. You get four times better light capture with a back-illuminated sensor. By placing the metal wiring in the back, rather than the front, Sony’s design creates a light-capturing area approximately four times larger than that of standard sensors. The RX100 III design features a versatile fixed lens of renowned ZEISS® quality. Up to 9 aspherical lens elements are used, among which two AA (advanced aspherical) lenses are cemented accurately to contribute to the downsizing of the whole lens unit while keeping the superb optical performance. The 24mm wide-angle gets more of the scene—ideal for architecture and landscapes, while the 70mm at a bright F2.8 is great for portraits, close-ups (30cm distance), and creative background blurring. The lens also features a built-in 1/8 ND filter that allows the exposure to be adjusted by 3-EV step equivalents to handle bright scenes. (Note: the 24-70mm specs are a 35mm equivalent). The BIONZ X image processing engine incorporates sophisticated detail reproduction technology, diffraction reducing technology, and improved area-specific noise reduction while offering approximately three times more processing power than the previous BIONZ engine to enable faithful, realistic reproduction of high-definition details and textures in realtime. Built into a camera body equal in size to the RX100 is an OLED Tru-Finder that enables faster, more accurate photo composition. The viewfinder is comprised of a high-contrast, high-resolution EL screen of approximately 1440k dots and features a ZEISS® T* coating that enhances clarity in the eyepiece optics. 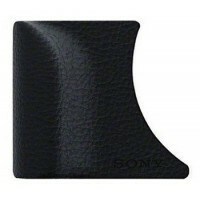 For stress-free shooting, an eye sensor allows instant shifting between the viewfinder and LCD screen. The high-bit-rate XAVC S format is provided for serious videographers. It enables Full HD image recording at 50Mbps for extremely high-quality expression and minimal noise. It also employs the Long GOP (Group of Pictures) data compression method to realize efficient movie recording. Furthermore, you can shoot Full Hi-Def with AVCHD, then easily edit that format in many different programs. 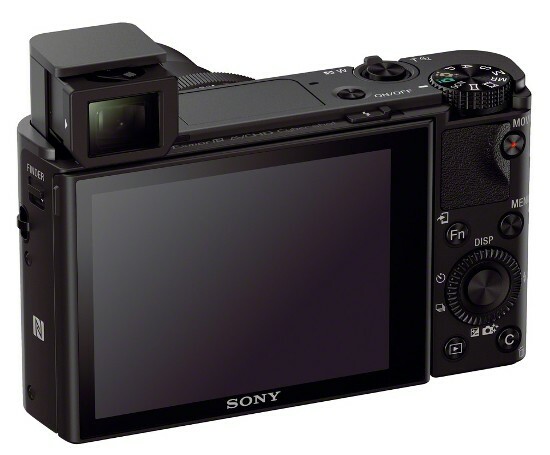 In addition to AVCHD format, the RX100 III is the first Cyber-shot camera to offer XAVC S, the consumer variant of the professional XAVC format. Full HD (1920 x 1080) 60p (or 50p) recording at a bit rate of 50 Mbps clearly captures complex motion as seen in water spray or large crowds with stunning resolution. Audio is recorded in linear PCM format. Sequences recorded at the 120p high frame rate that is also included can be reproduced in slow-motion at 24p, and varied in speed by up to five times with impressively smooth results. Please note: 1) An SDXC memory card with a Class 10 or higher speed rating is required for XAVC S recording; 2) 120p recordings are captured at HD (1280 x 720) resolution. Intelligent Active Mode and Active Mode cannot be used when recording at 120p; 3) The camera does not provide slow-motion playback capability. PlayMemories Home™ can be used for slow-motion playback. A 3.0-inch, 1229k-dot extra-fine LCD screen tilts up to 180 degrees for easier selfies or group shots, and down to help compose your shot in macro mode. Area-specific noise reduction is now more powerful than ever. It selectively divides the image into areas based on patterns (such as edges, textures and evenly coloured areas like blue skies), and then applies the most appropriate noise reduction for each area to improve image quality, especially at high-sensitivity settings. Working together with Sony's detail reproduction, it gives supremely clear, detailed images. Lock-on AF adjusts the target frame size based on subject characteristics and makes use of a wide AF area to ensure usage of the optimal AF point for smooth, stable autofocusing. New BIONZ X ensures swifter subject tracking and detection performance than ever before. Even when capturing a subject partially turned away from the camera with a shallow depth of field, the face will be sharply focused thanks to extremely accurate eye detection that can prioritize a single pupil. A green frame appears over the prioritized eye when focus has been achieved for easy confirmation. Features such as MF Assist (enlarging the image) and Peaking (highlighting edges in focus) make it easy to incorporate manual focus in your shooting when you desire the added flexibility.